White Maeng Da is what we harvest from the inner region of West Kalimantan in Borneo. We almost cover 6 districts in the region. White Maeng da is mostly used for the treatment purposes, and it is grown widely in this area. After the harvest process, we dry the leaves in indoors for 2 days. Our drying process will be carried out for almost 4-5 hours and then we will finally crush those leaves into a fine powder and ensure the alkaloid content contained in it. 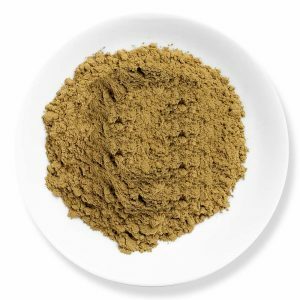 If you are a fan of White Vein Kratom, then you will surely like this White Maeng Da Kratom. It is same as green vein maeng da, and I’m really likey. You should bring up with someother more varieties in white, you can try White Indo and White Sumatra, they will be off the hook in tastes. Not the best one out there. But is there any way that it could be made more effective or something? 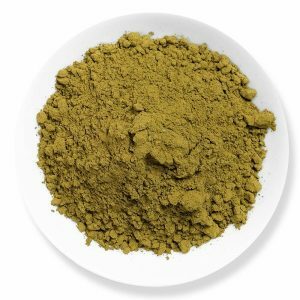 I have been researching on Kratom for a long time and I have also tried Kratom at various places. But I must say you guys have the best White Maeng Da Kratom when it comes to the mild euphoria it induces. I have never experienced anything like this. But I was a bit disappointed on the cognitive front since the enhancement wasn’t as expected. I would really love to see you guys working on it. The product arrived way sooner than expected. Speaks volumes about the service. Being a person who is a great fan of workouts, I have always faced fatigue and increased heart rate. However, I was surprised to see my HR steady, without much of the fatigue symptoms. Increased level of focus and concentration is an added advantage. Works great if you are into sports and fitness. On the whole, I just loved it. Thanks!! No great differences than the product at other vendors. But just love the service. The best product as a recreational tool for me. Great work guys!! My happy place for the best service, product and delivery. Go for it guys!! A commendable product that is presented with a splendid service. Looks inspiring to see how Kaybotanicals has come a long way. I just received my third order. The quality is always great, no doubt about that. But what impressed me this time is the on-spot professionalism. I had entered a wrong address by mistake and I only noticed it after I had placed my order. I didn’t even call them but just left a message. They called me back in some time and they were kind enough to get things straight for me. All my fears just disappeared within one hour. Thank you Kaybotanicals. Means a lot!! I don’t really write reviews. But these guys are phenomenal. A big fan of the product texture alone. Highly recommended. Unbelievably fast shipping and I am so surprised that am all the more blessed with some high quality Kratom service at this given price. Can’t really describe more!! Another winner on the cards!! Makes me wonder how they come up with good quality every now and then. 4.8 / 5 based on 1963 ratings.